There's something about grey rainy days and tacos. Every since we moved to North America, making homemade tacos was as nostalgic as leafing through old favorite vintage recipe books. I make my taco salad without a shell using lettuce as the vessel that holds all ingredients in one place. 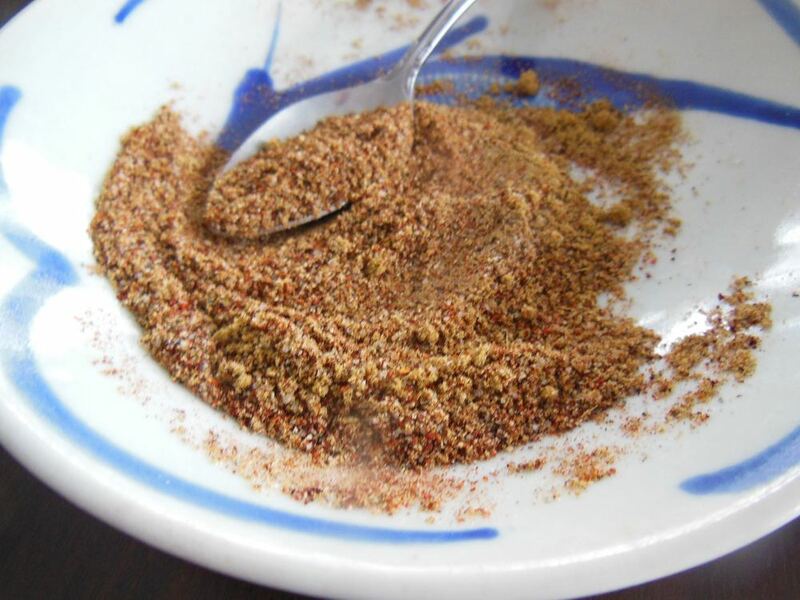 When I toss the homemade taco seasoning together, I make two batches. I suppose I could make more but the last couple of times I was out of one or another ingredient. If I ever get everything I need in hand, I will easily make a generous helping and store it in an air tight jar. If you want a little more heat, add 1/4 tsp pepper flakes. Mix. Divide in half and use with 1 lb of browned ground hamburger. Cook on low with 1/2 cup of water for about 10 minutes. Cool enough to use in taco shells or on a taco salad.